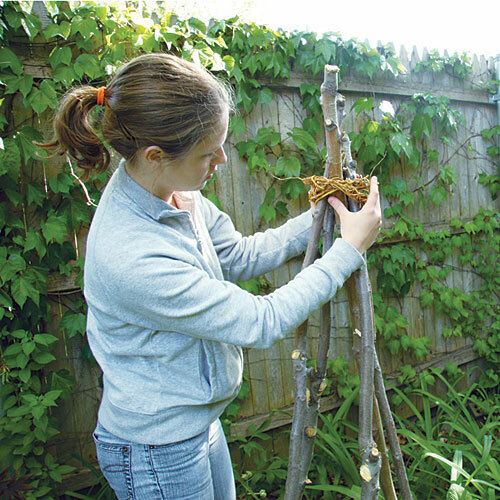 If you use fairly thick grapevines as shown at left, first build the tipi, wrapped with wire at the top, then weave the vines in and out of the poles at various heights. 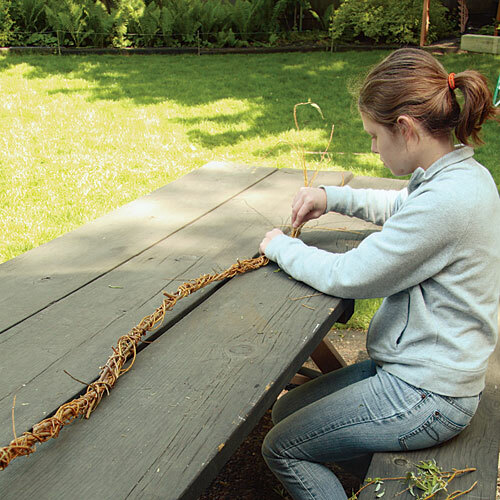 When using thinner materials like the thin ends of willow branches, form them into a rope by plaiting them together. Overlap the pieces and twist them together. Then wrap more tightly with slender pieces that form tight loops. Arrange the poles so they splay out at regular intervals. 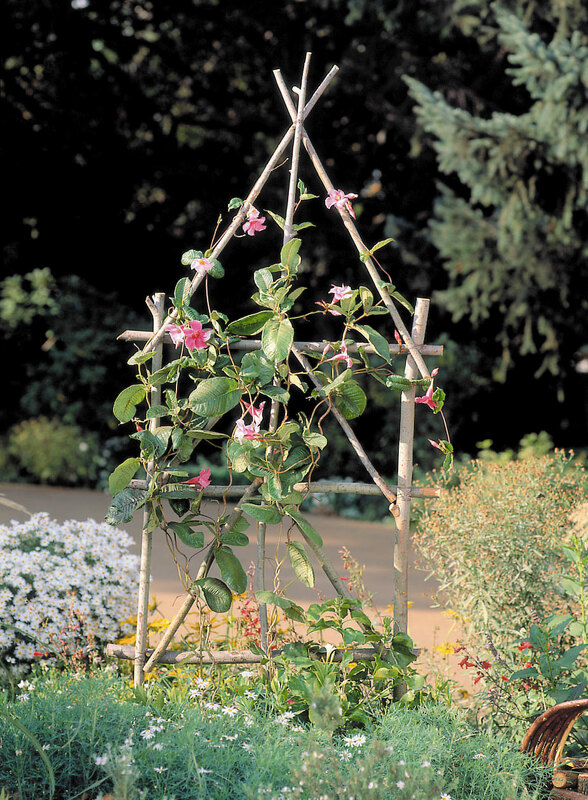 You may choose to tie the top using only the branches, or you can wrap first with wire, then cover the wire with a branch rope. 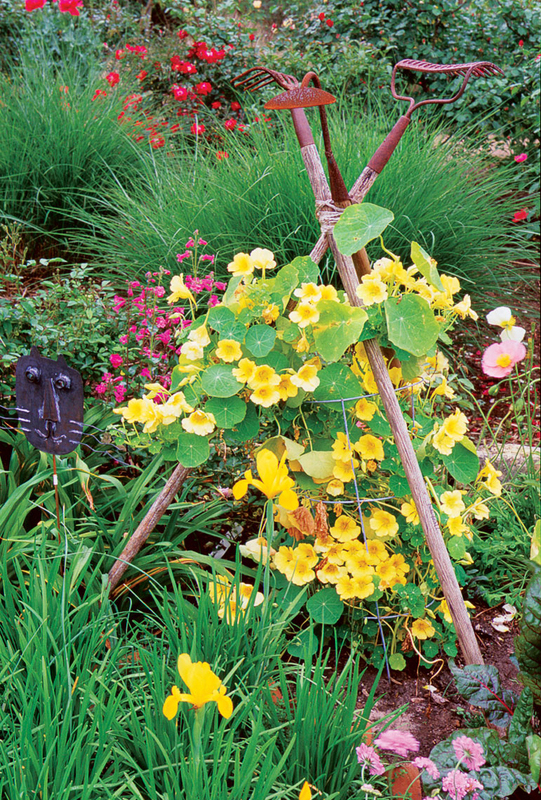 For each garland, loosely tie a branch rope around the poles. 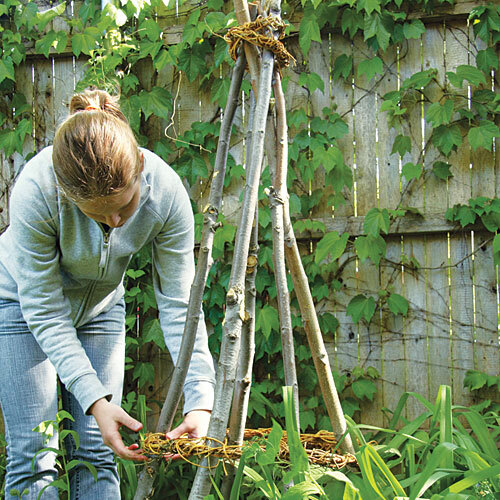 Then wrap individual thin branches to tie the rope to each of the poles.